MOSCOW, December 18. /TASS/. 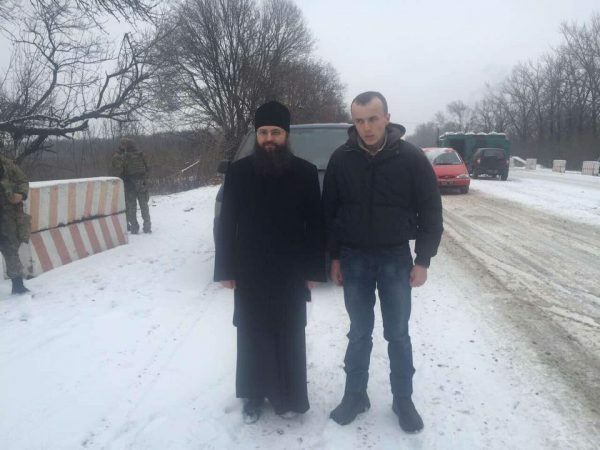 A Ukrainian serviceman, Taras Kolodiy, who has been kept prisoner in Donbass for two years, was released on Sunday through the mediation of the Moscow Patriarchate of the Russian Orthodox Church, the Patriarchate’s press service said. “On December 18, Ukrainian serviceman Taras Kolodiy, who had been taken prisoner during combat operations, was released in Donetsk. He was released to the Ukrainian side at the Yelenovka-Volnovakha checkpoint. His live and health are out of danger,” the press service said. The man was released without any preliminary conditions. According to the press service, Patriarch of Moscow and All Russia Kirill was asked to help release the man by Metropolitan Onufriy of Kiev and All Ukraine after the serviceman’s relatives had asked for his assistance. “His Holiness Patriarch Kirill of Moscow and All Russia upheld the plea of His Beatitude Metropolitan Onufriy and contacted people who could solve that matter,” the press service said. “Taras Kolodiy’s release is the result of the Church’s peacekeeping efforts towards the settlement of the conflict in Ukraine and proves the high authority of the Ukrainian Orthodox Church,” the press service said. “The moral authority of the Ukrainian Orthodox Church which unites the Ukrainian on both sides of the confrontation is a real tool that might promote national reconciliation in Ukraine,” the Moscow Patriarchate said.